You’re a cautious driver with a clean record, so why are you paying more money for car insurance than your friend over in the next town? Is it because you bought the red Ford truck and they bought the exact same one in black? Is it their higher salary, their credit score, or maybe it’s those parking tickets that you keep getting? What gives? Contrary to popular belief, the colour of your car has nothing to do with the price you pay for car insurance. 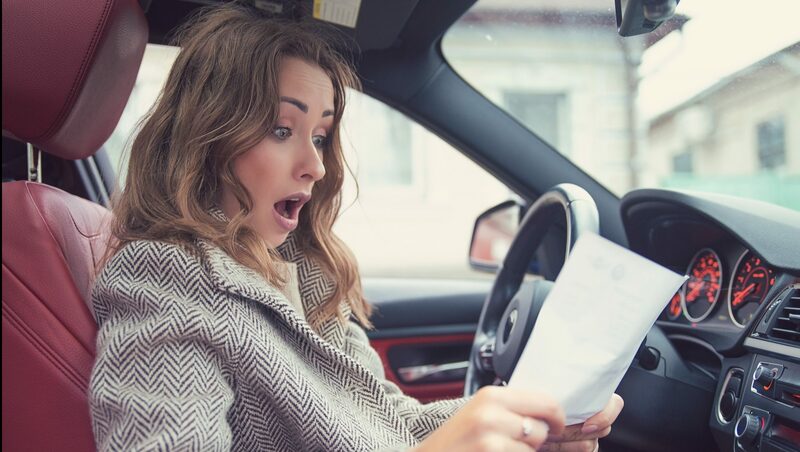 Neither your salary, credit score, nor even those parking tickets affect the price you pay for car insurance – well, as long as you pay them on time. Let’s break down the factors that do affect your car insurance, the ones you can change, and the ones which are beyond your control. For this example, let’s say you’re a male in Ontario and your female friend is in Calgary. All things being otherwise equal, typically she’ll pay less for car insurance. Insurance companies look at historical data to help them better assess risk. Historical data tells insurance providers that females get into fewer accidents and collisions than their male counterparts. The same can be said for age – younger drivers pay more than older drivers. As long as insurers have the freedom to rate using demographics, you will always be subject to the failures of your demographic predecessors. Show your insurer how you can be a statistical outlier with a long steady record of safe driving, and you will eventually pay less. Your friend in Calgary has a distinct advantage when comparing Alberta car insurance quotes. On average, Albertans pay less for car insurance than Ontarians. Both provinces have private insurers vying for your business, both are regulated by provincial regulatory bodies (AIRB in Alberta, FSCO in Ontario), but as it stands currently, Ontarians still pay more. Geographic factors could include population density leading to busier roads increasing the chance of a collision, or fraudulent claims around a particular postal code that will raise rates for that region. It’s vital to compare car insurance quotes to get the best deal in your respective province. While you may not want to move to Calgary just to pay less for car insurance, you can compare car insurance in different area codes within your city of choice. If you choose to live in an area that statistically has less crime and fewer collision prone intersections, it can help you save money. The Insurance Bureau of Canada (IBC) recently put out a report on the most stolen vehicles in Canada. Ontario had a 15% increase in vehicle thefts vs. Alberta’s 6%, which is again, one reason why Ontario drivers pay more. If you bought a Ford F-350, know that it’s one of the most stolen vehicles in Canada. It’s important to review the list of stolen vehicles, because the more a car is stolen, the more you’ll pay for car insurance. Beyond theft and collision statistics for your area, an insurer wants to know the year, make, model, engine size, and age of the vehicle to determine the rate they’ll give you. The more expensive a car is to repair or replace, the higher your premium. When buying a car, you can use IBC’s CLEAR rating table to find the cars that cost less to insure. Your driving habits have a direct impact on your driving history. Cautious driving, keeping a safe distance from the car in front of you, and checking your mirrors frequently will help you avoid a collision and, by extension, keep your rates in check. Collisions, where you’re deemed at fault, will significantly raise your premiums. If you’re involved in a serious auto crime, like driving under the influence, it could increase your rate substantially. In fact, it may even lead to an insurer cancelling your policy. The longer your record is clean, the better your rate will be. If your friend only uses their car to pick up groceries on the weekend or for an occasional road trip, they aren’t driving many kilometres and will generally pay less. If your commute to and from work every day is a 50 km round trip, you’re using your car a lot. The more you use your vehicle, the higher the chance of an incident and the higher your insurance premiums will be. If you use alternative modes of transportation–walk, cycle or public transit–you can reduce the use of your car and reduce your premiums at the same time. Keep your insurer informed so they can adjust the price you pay. If your friend only takes the minimum limit for mandatory third-party liability coverage and does not opt for the addition of collision or comprehensive insurance, they’re going to pay less. The minimum third-party liability in both Ontario and Alberta is $200,000, but most drivers opt for $1 million in coverage, if not $2 million. If your insurance provider pays out $2 million when someone makes a claim against you, it will understandably raise your premiums going forward. If your car is involved in a flood or a tree falls on it during a storm, it’s nice to have comprehensive coverage to help pay for the repair or replacement costs. It’s not mandatory though and does cost extra to have it on your car insurance policy. The cost to add collision and comprehensive coverage to your policy could result in at least a couple hundred dollars more annually in premiums, depending on all the above factors. If you drive an older car, some people may not add this coverage and put the savings in a high-interest savings account to buy a new car in the coming years. If you’re a member of a union, professional organization, or school alumnus, sometimes you can get a discount on your premium. Make sure to ask your insurer what discounts may be available to you and take advantage of the ones that exist. Another way to save money on your car insurance is to use one of the best credit cards in Canada. If you set up pre-authorized payments on recurring bills like your car insurance, you can get 2-3% cash back. You can also save points on gas with certain cards. Finally, don’t be over insured. A lot of credit cards come with roadside assistance. If your credit card offers it, don’t pay for the extra costs of a membership elsewhere. Do your best to take advantage of the pricing factors you can influence, and you could be paying less than your friend in no time! Happy shopping!